Over a year and a half ago I broke my arm, the right one. It was my favourite arm, the one I use to do all of my favourite things. One of these is drawing. However I did have a go at using my left while the right was otherwise engaged. It was actually an interesting experience. All of the usual motor control I took for granted was no longer there, and I found that I needed to think a lot more about what I was doing to get it to work. 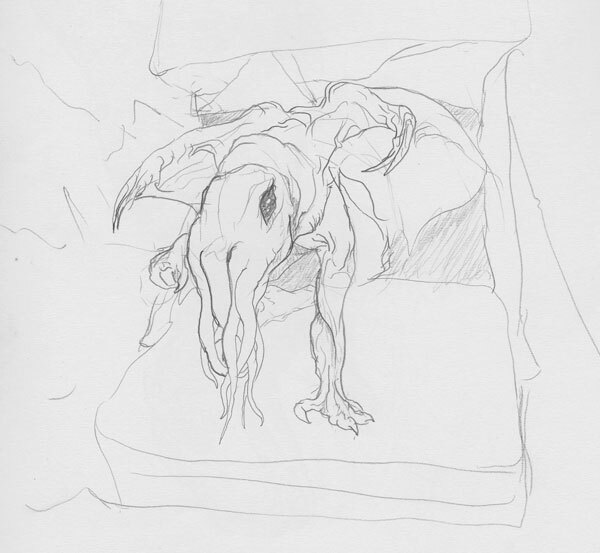 This entry was posted in Scanned Desksketch and tagged Cthulhu, left handed by Anthony. Bookmark the permalink.